It Works on the Principle that there'll be no frictional force in vacuum.It has specially desinged capsules which floats in a thin film of air inside partially vacuumed steel tubes. It is similar to how a coin floats on a "AirHockey" table. Thus they are possible to Levitate the capsule without the use of Magnetic Levitation systems. 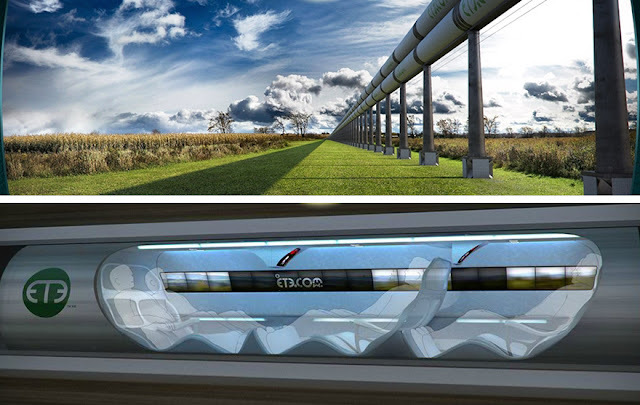 Linear Induction motors are placed along the tube at several places to accelerate or decelerate the tube. It is stated that it can travel upto a max speed of 1220 KMpH (720 MpH) without creating a "Sonic Boom"
i.e) Without crossing the Sound Barrier. 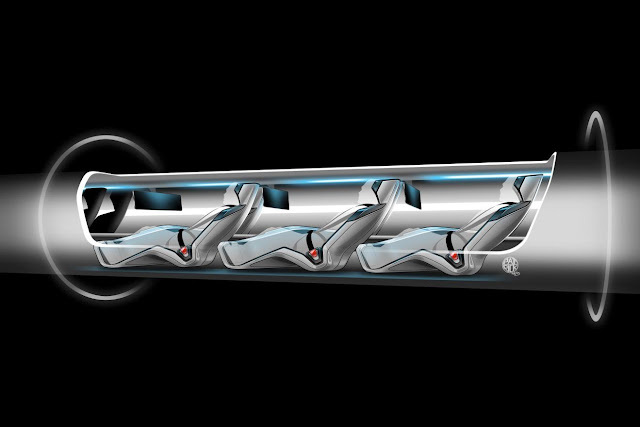 This Means that you can travel from Los Angeles to San Francisco in just 35 Mins. (From Chennai to Delhi in just 2 Hours). At Max speeds passengers could feel inertial acceleration of 0.5g which is less than that experienced by passengers during Boeing Take off and Landing. Humans can withstand easily upto 5g.